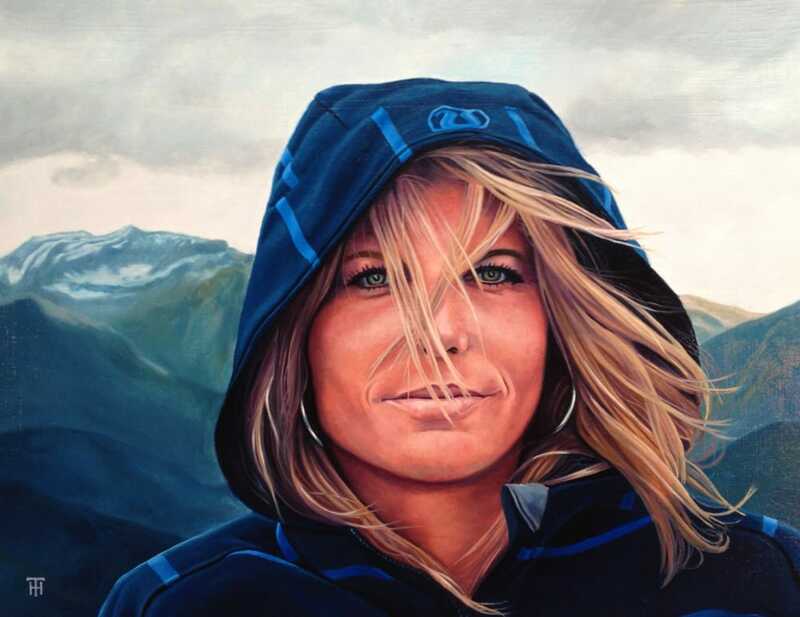 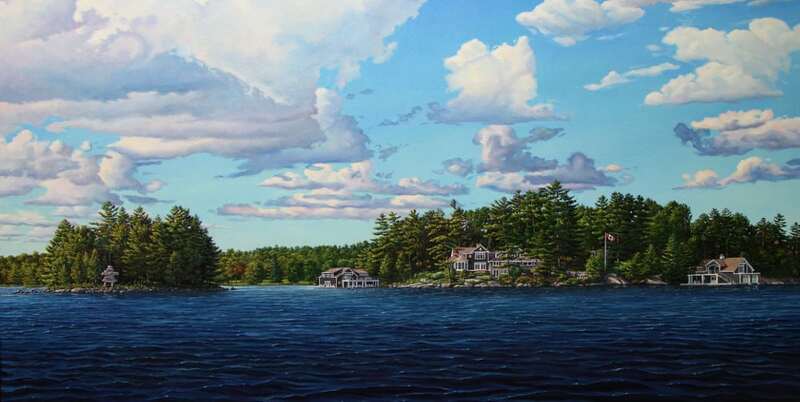 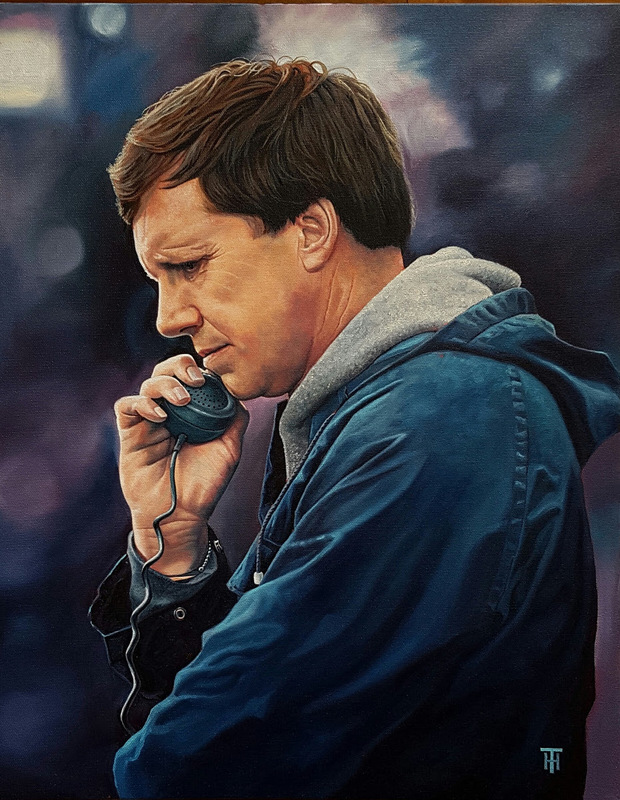 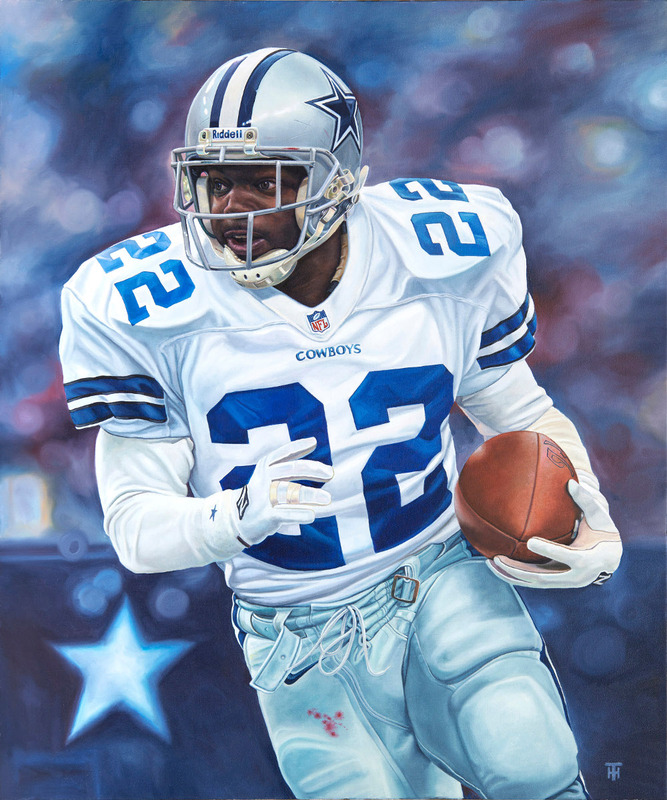 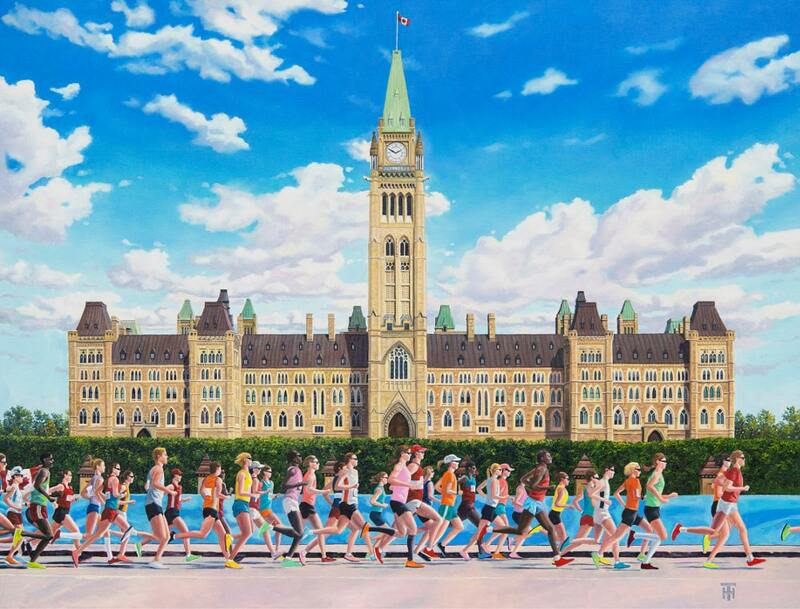 Over the past 30 years Tony Harris’ body of work as a professional sports portrait and landscape artist has established him as one the most sought after talents internationally. 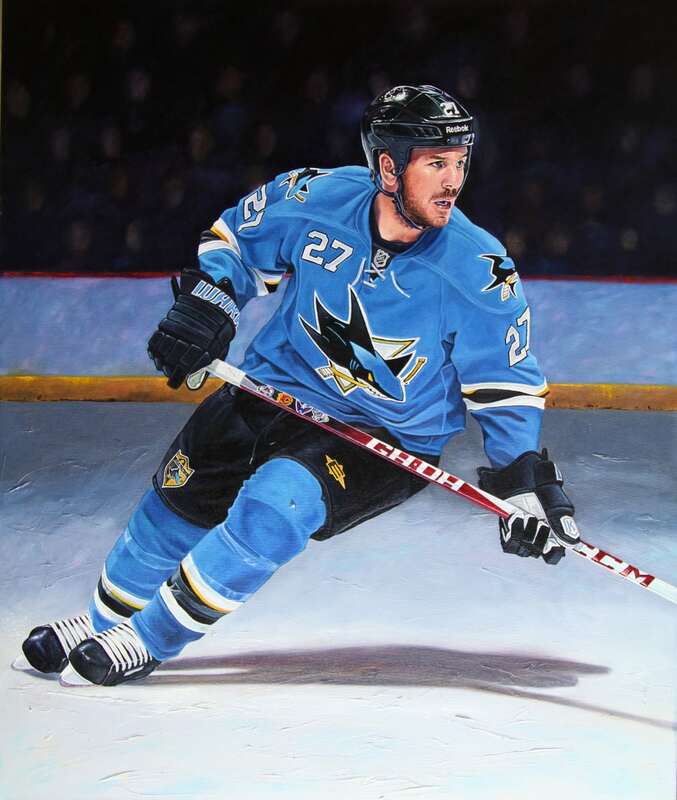 Tony has commissions with the NHL, NHLPA, PGA, LPGA and many elite sport agencies. 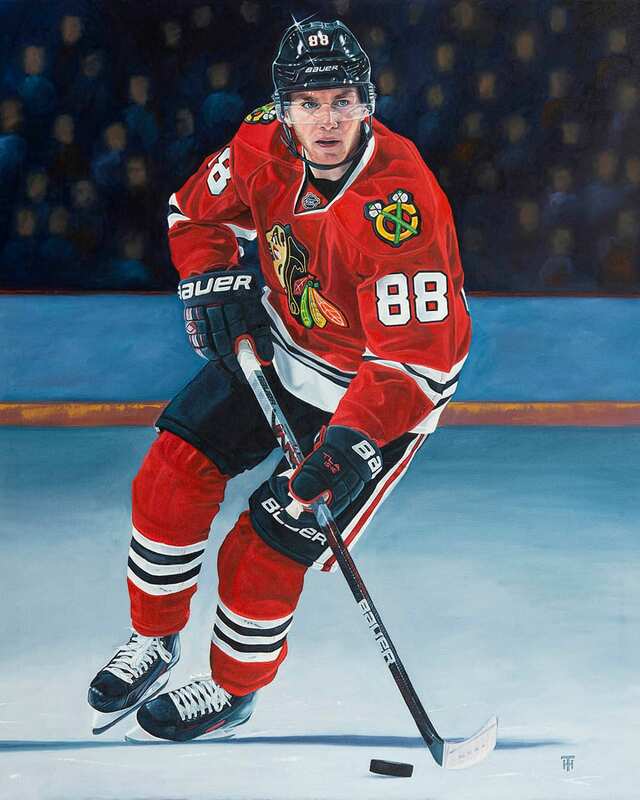 He is under contract with the NHL Players Association to paint the Ted Lindsay Award recipient (League MVP as voted by the players). 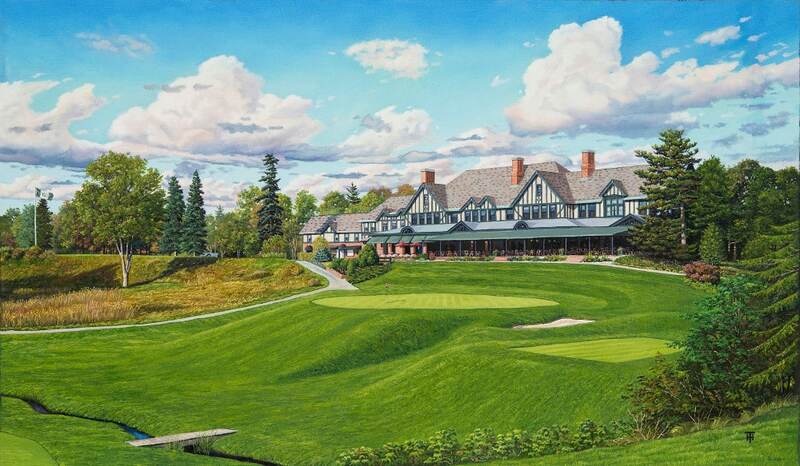 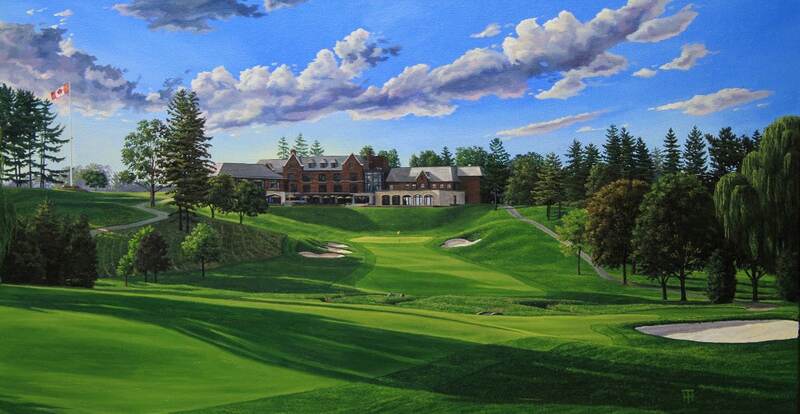 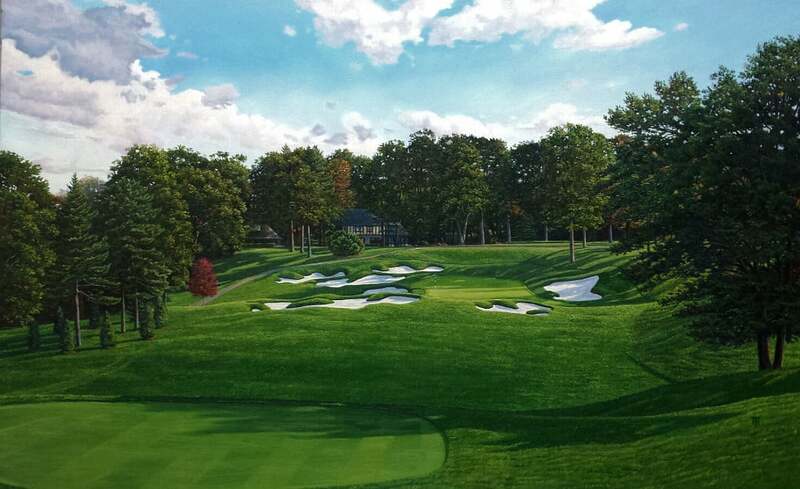 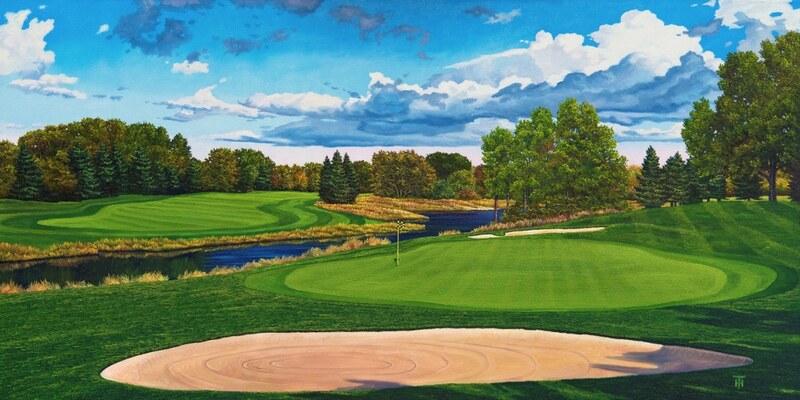 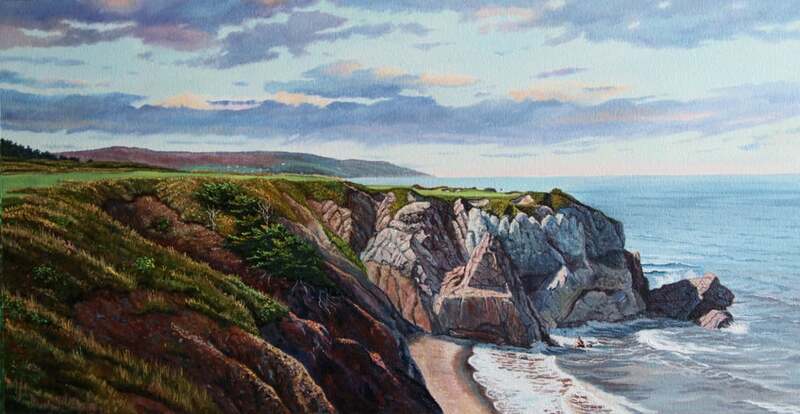 Tony has also served as the official artist of the RBC Canadian Open. 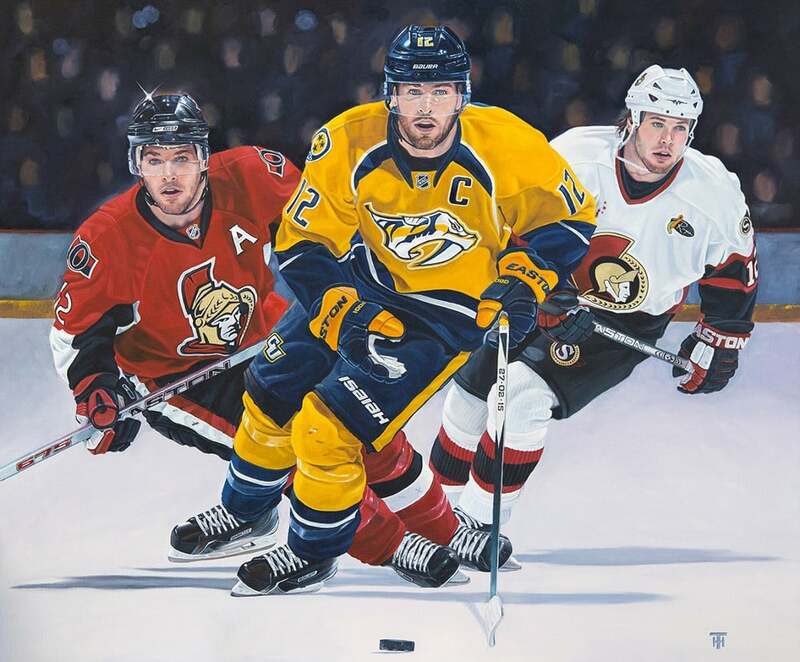 In late January of 2017, the National Hockey League, as part of the NHL Centennial celebrations, announced it has commissioned original portraits of each member of the 100 Greatest NHL Players presented by Molson Canadian. 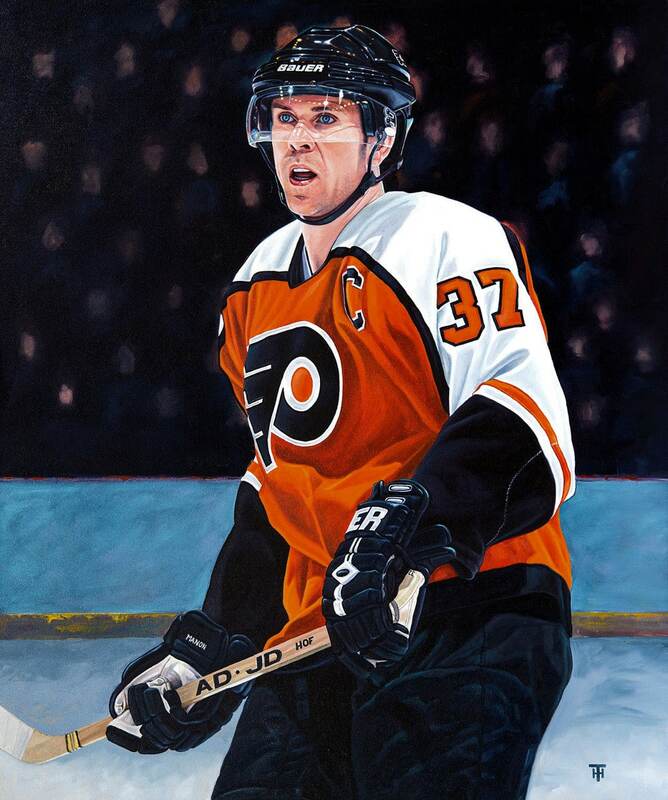 The special initiative pays tribute to a century’s worth of record holders, all-time leaders, captains, Stanley Cup champions, and Hockey Hall of Famers, immortalizing the greatest stars from the League’s first 100 years. 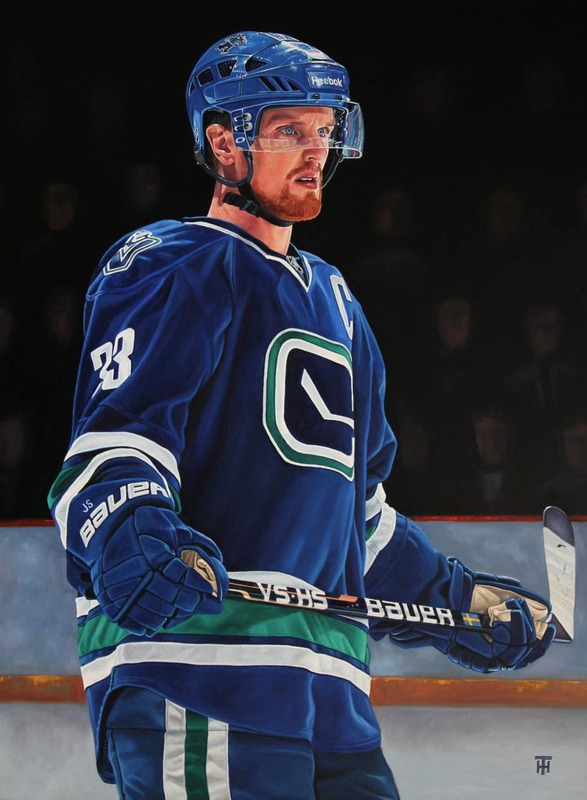 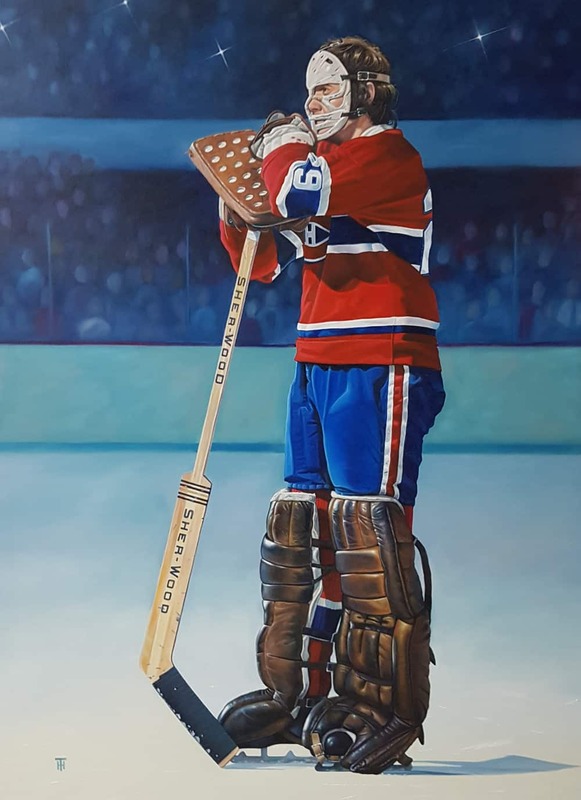 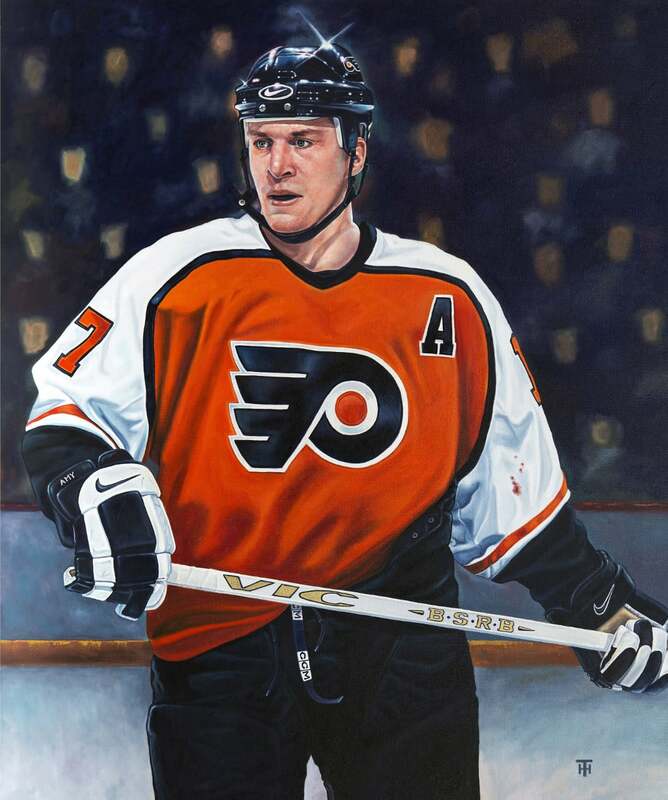 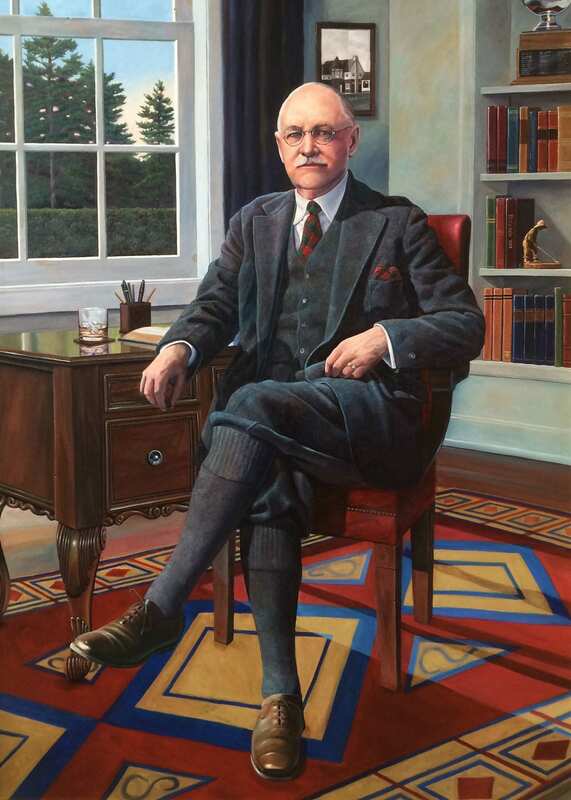 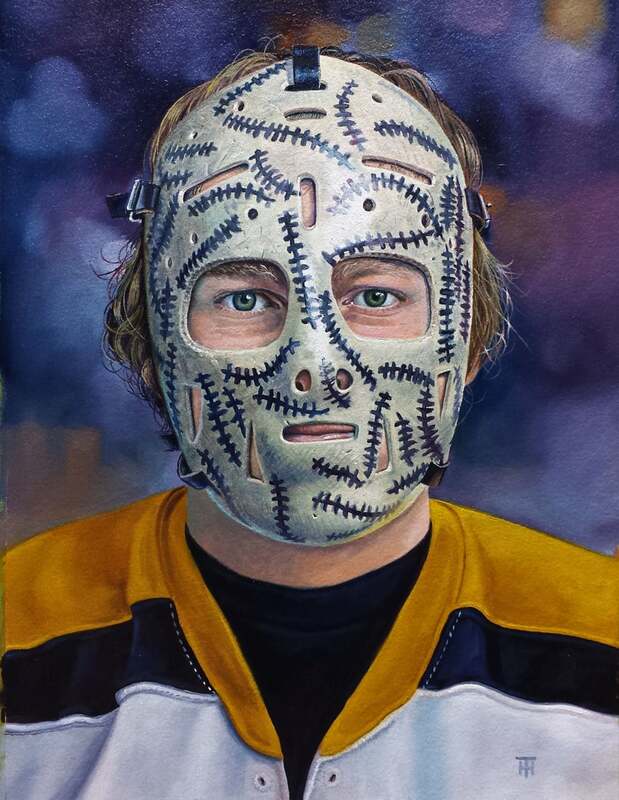 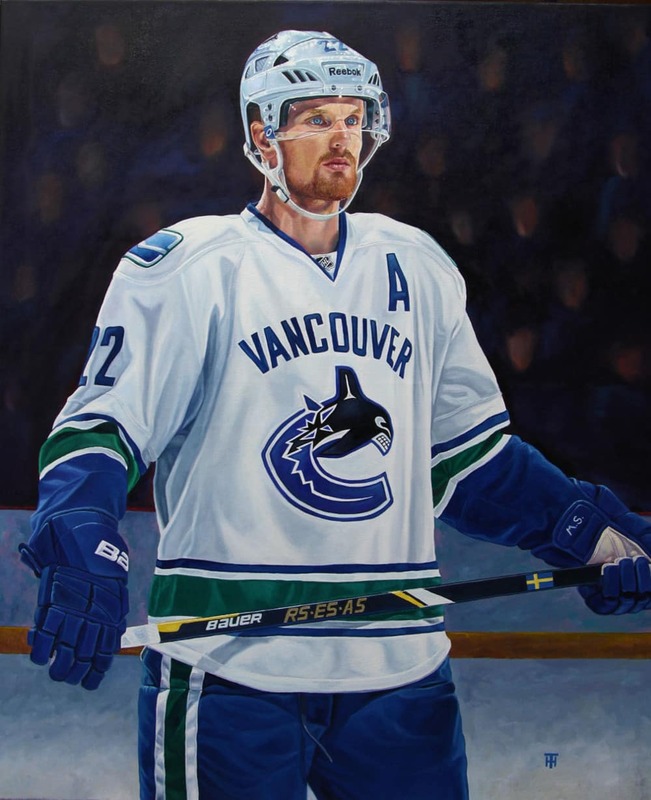 The National Hockey League, as part of the NHL Centennial celebrations, announced it has commissioned renowned Canadian artist Tony Harris to paint original portraits of each member of the 100 Greatest NHL Players presented by Molson Canadian. 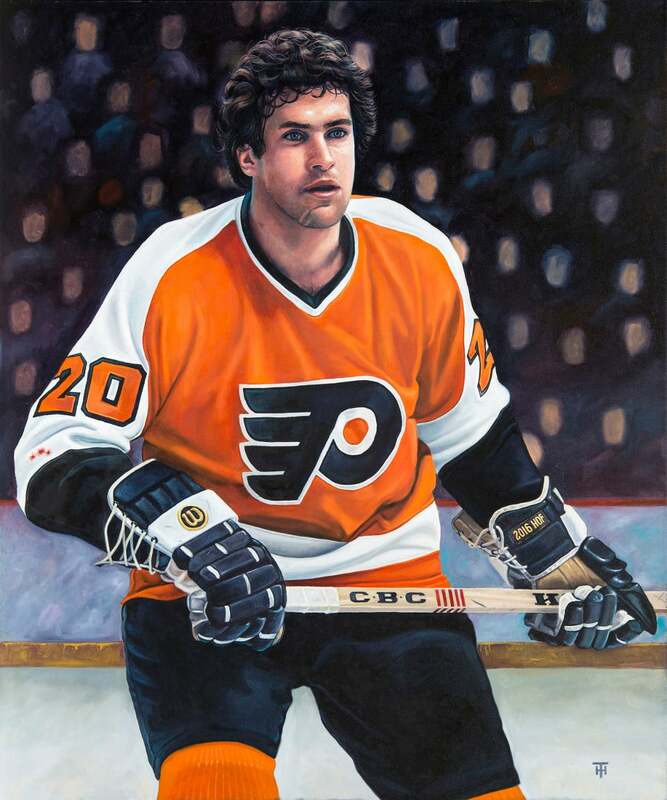 The special initiative pays tribute to a century’s worth of record holders, all-time leaders, captains, Stanley Cup champions, and Hockey Hall of Famers, immortalizing the greatest stars from the League’s first 100 years. 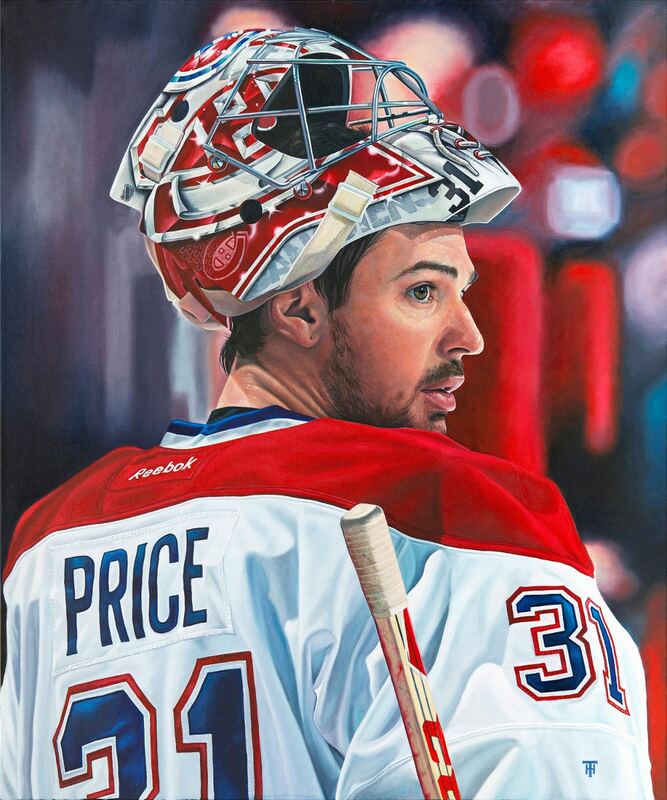 Price: $225.00 + tax + shipping. 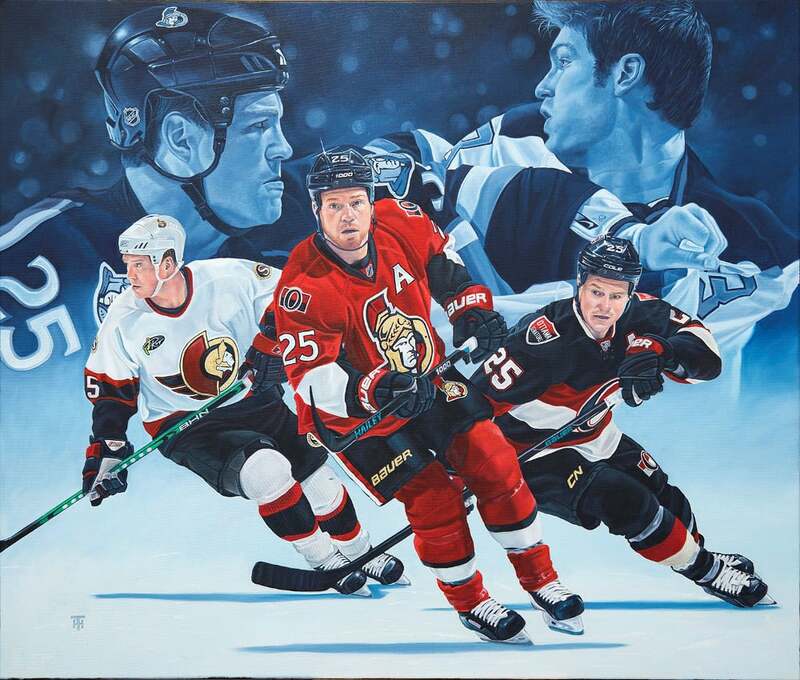 Price: $850.00 + tax + shipping. 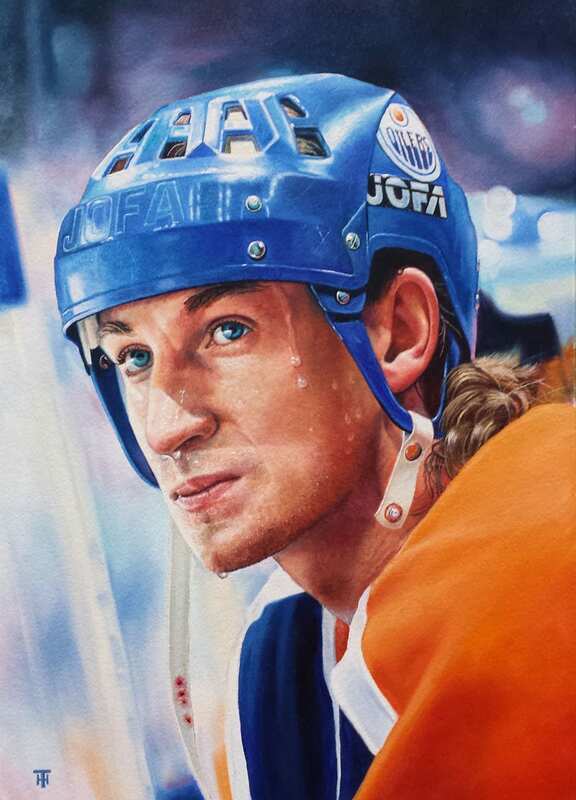 To purchase please email me at THFineArt. 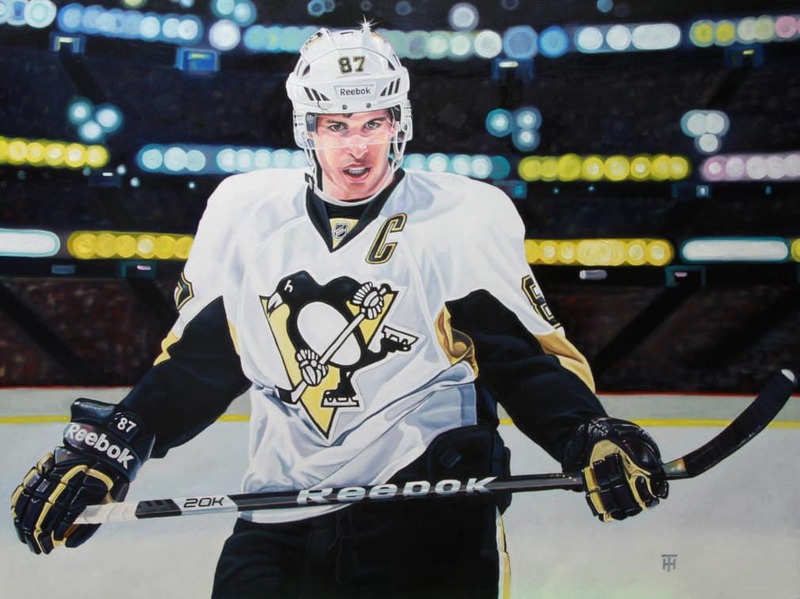 Mario Lemieux and Tony with the painting commemorating “The Greatest Moment in NHL History” as voted by the fans. 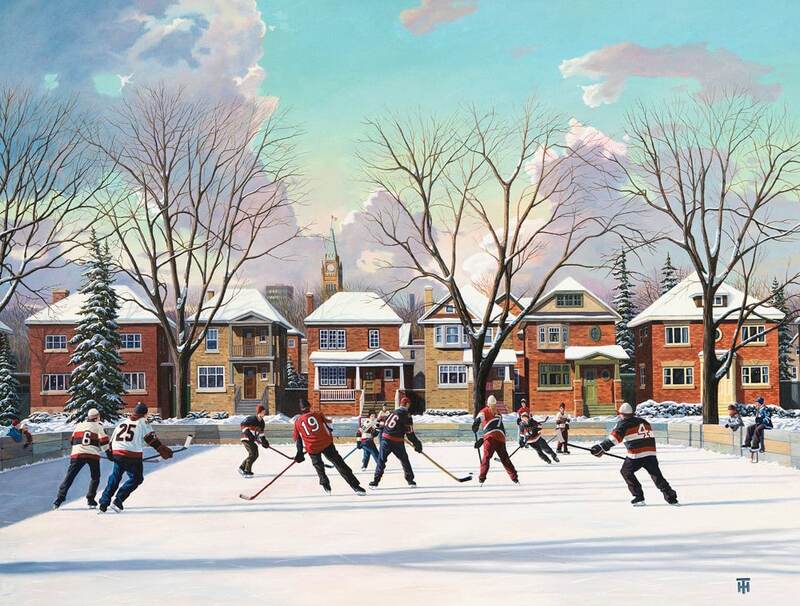 Lemieux scored 5 goals 5 different ways in one game. 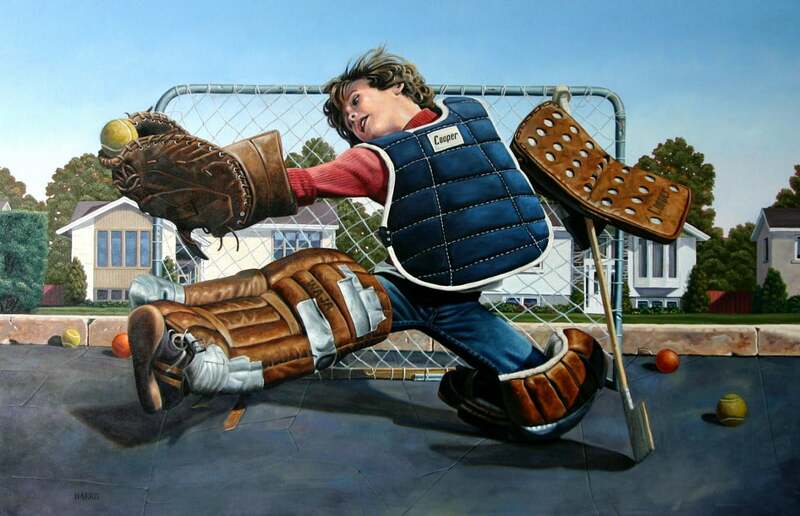 Bernie Parent discussing his painting with Tony at the Governor General’s residence, Rideau Hall.